Founded in 1993 EP Equipment has become one of the top players in the world of intralogistical solutions. Right from the start EP Equipment focused on electric and has kept this focus until today. Nowadays, EP Equipment stands for highly innovative products in the field of warehouse trucks that fit the need of our customers. With a core competency on small warehouse trucks, EP Equipment has focused its efforts on the needs of the retail, manufacturing and distribution industry. At EP, we believe that urban logistics is a mega trend, that needs new, smart solutions and we have those solutions already today. 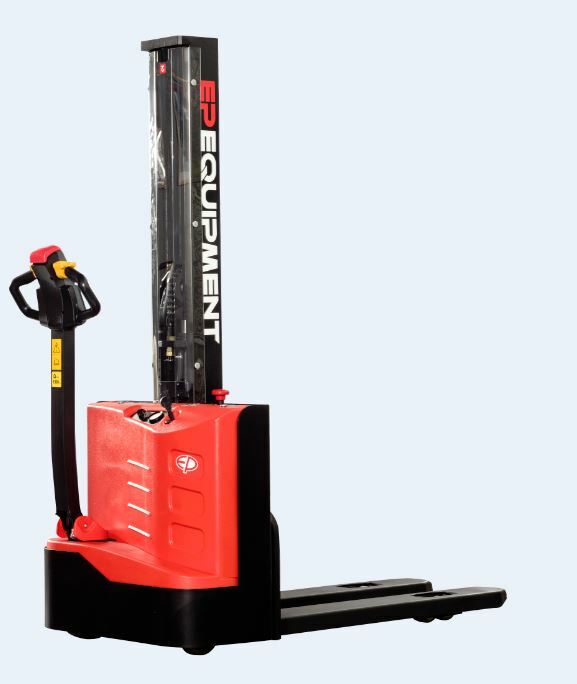 Producing a good pallet truck is about keeping the balance between the actual need of the customer and an attractive price level. The EP Vision is to build simple but powerful tools that support the daily operations of their customers at a reasonable price level. Depending on the operation, they offer a wide range of products to fulfil the individual need of every customer from occasional operation up to multi shift application in high frequency distribution centers.